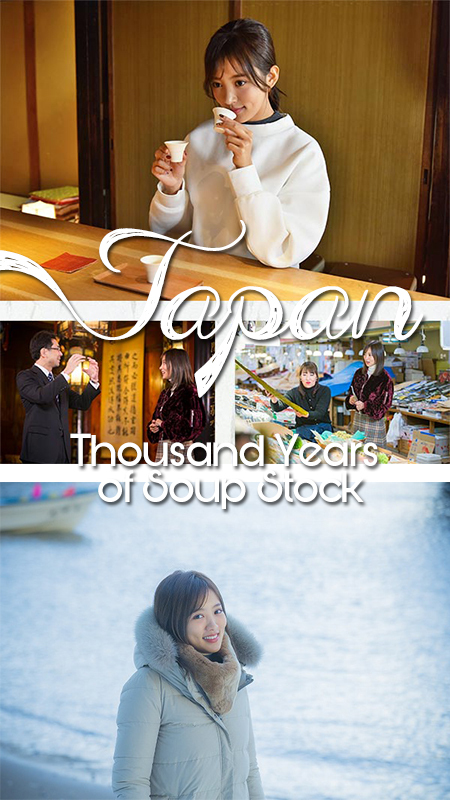 This is an amazing food documentary to show thousand-year history of soup stock. The soup stock is the fundamental essence in Japanese dishes, and kombuor sea kelp, harvested in the northern sea of Hokkaido is known as the best ingredient for the stock. Now a days, the sea kelp is used not only for Japanese traditional cuisines but also western cuisines and even for chocolate. Through this program, we introduce the reason why northern sea of Hokkaido grows good quality kelp. Then we show how the kelp has been distributed long time ago from Hokkaido to all over Japan and East Asia across the sea. Viewers will realize how the soup stock made from the kelp contributes to the conventional cooking in Japan and the modern cooking in the west.